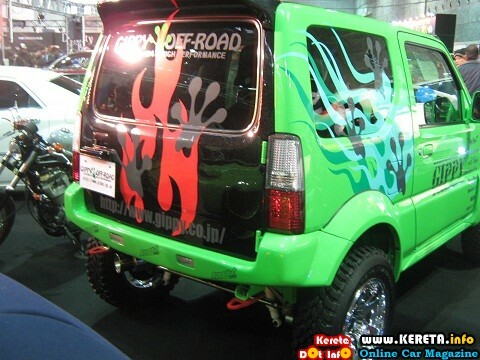 Have you ever think to modify your own ‘off road’ vehicle to be as fancy as this? 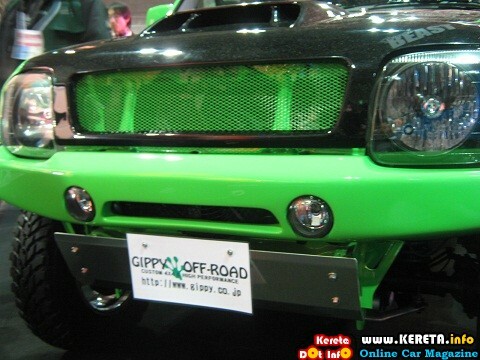 Here we share some photos from KDI autoshow gallery. 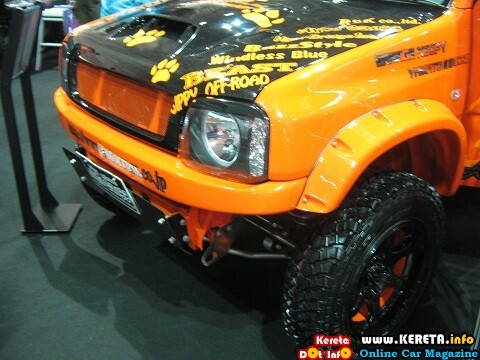 It is the modified Suzuki Jimny SUV. It is more towards exterior looks but not leaving the important off road accessories such as suspension system and performance kit. The Suzuki jimny is one of the favourite off road vehicle / mini SUV because it is small and easy to handle on a narrow off road condition. It is in Mini SUV class with Body style 2-door SUV or 2-door convertible. The rear bottom part of the mini SUV. Hi..saya owner Ford Everest XLT 2007. Berminat nak “modify” , “make-up” & “upgrade” kereta saya. Tapi kurang pengetahuan, contact dll. Sebarang pendapat, contact, lokasi / infomasi bengkel & nasihat amat di alu alukan. Saya menetap di P.Pinang. Terima kasih.